I just had to show you these. HAD to. I know not all of my readers are fans of the various spiked and studded shoes our Friday favourite has come up with over the years, but hey, it could’ve been worse: I could’ve shown you the red version. These shoes are so completely over the top that I can’t help but love them. Unfortunately, the price is pretty OTT too, at $3,595, but you can click here to buy them, should that be acceptable to you! Previous articleKate Middleton’s wedding shoes: and a Kate Middleton doll wearing Aruna Seth! Oh wow. 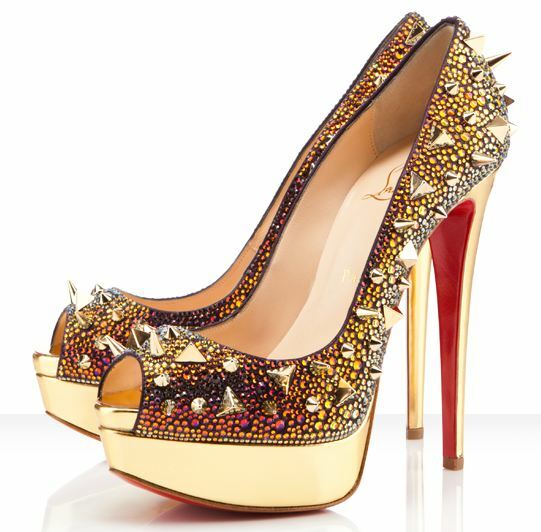 I’ll surely dream about these!! See River Island have an almost identical pair in black this season? Do they? I can’t seem to see them on the site – will keep an eye out! I squealed at my desk whilst sneakily reading shoeperwoman at work! Too beautiful for works. Makes me want to go home and attack some shoes with a glue gun! 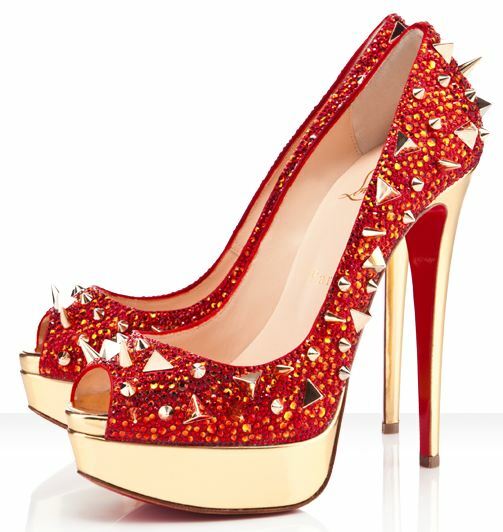 I loooove the red pair, I simply loooove it!!!! The non-spiked version of these shoes were already gorgeous. But the spiked version? Exquisite. The red pair. Good grief!!! If I had more money than I knew what to do with, I would totally buy the red ones. Just to look at.